The Windsors were out en masse this afternoon at the Chelsea Flower Show, which was officially inaugurated by Queen Elizabeth II. 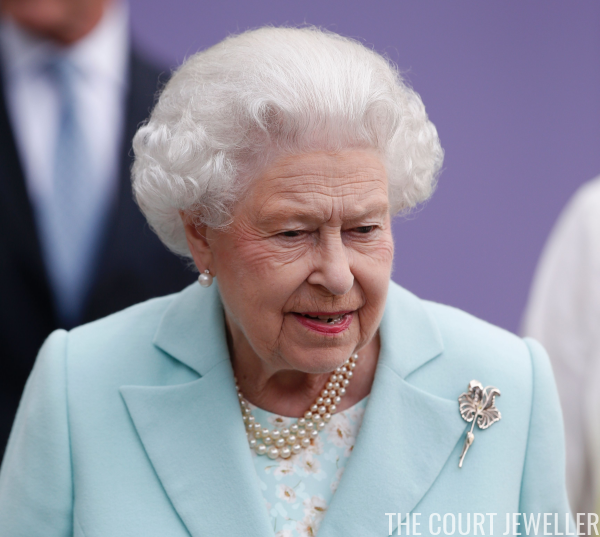 The Queen wore a brooch that has become a staple for her Chelsea Flower Show appearances in the last few years. The white gold and diamond brooch, which is shaped like an iris, was designed by Kristjan Eyjolfsson, an Icelandic jewelry designer who works in the UK. The piece was commissioned specifically for the Queen by the Royal Horticultural Society as a Diamond Jubilee gift. 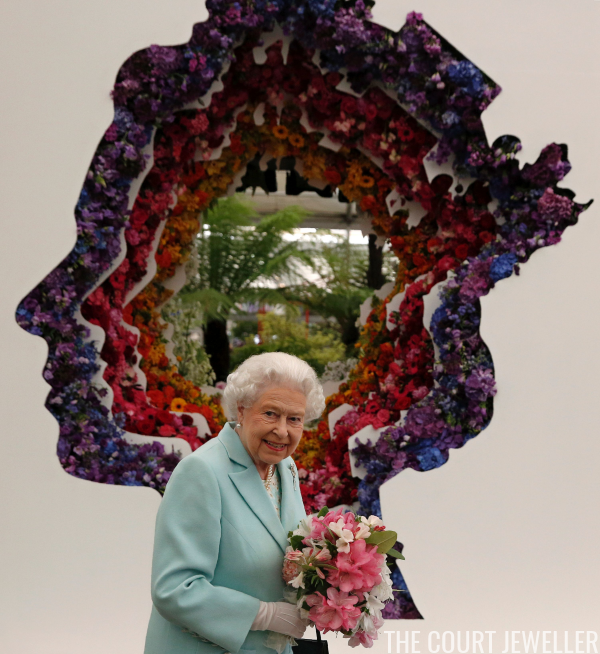 The RHS is the organization behind the annual flower show in Chelsea; the Queen is their patron. 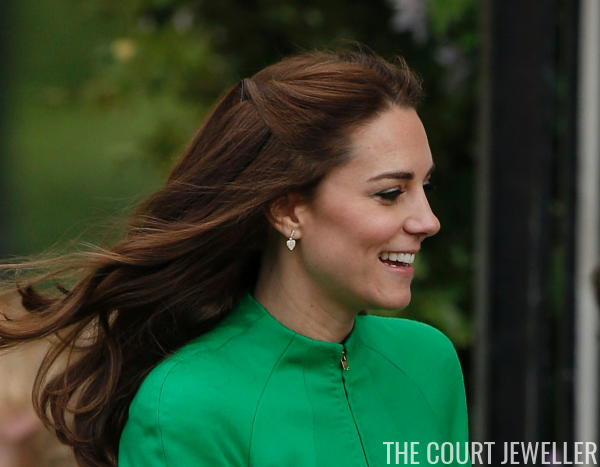 The Duchess of Cambridge attended the show with both William and Harry; she paired her Kiki McDonough "Lauren" earrings with a springy-green coat by Catherine Walker. Princess Anne looked absolutely smashing in neutrals and simple jewelry. The Countess of Wessex added a little bit of glitter to her Alexander McQueen ensemble with a pair of sparkling earrings. 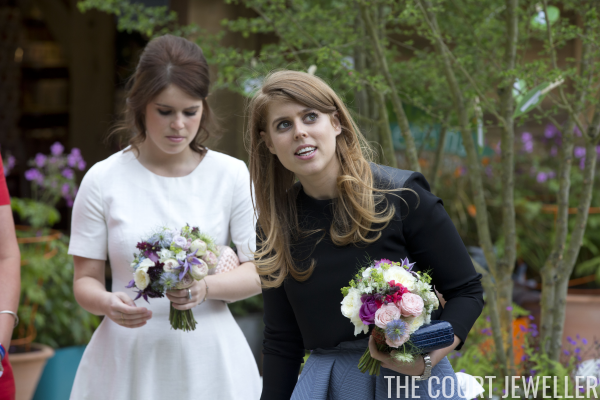 Princesses Beatrice and Eugenie of York were both at the show, but (as per usual) neither of them wore any major pieces of jewelry. The Duchess of Gloucester wore a version of the Queen's usual daytime jewelry uniform: pearls and a diamond brooch. The always-elegant Princess Alexandra wore a twisted strand of pearls with elaborate earrings. And statement earrings were on the menu for Princess Michael of Kent. All in all, a very impressive turnout for the Windsor women: every female HRH was represented with the exceptions of the Duchess of Cornwall, the Duchess of Kent, and (understandably) Princess Charlotte of Cambridge. But even baby Charlotte was represented: the Princess Charlotte Chrysanthemum on display at the show was named in her honor.